This is the whole bird already cut up for your convenience. Includes: 2 breasts, 2 tenders, 2 leg/thigh quarters, 2 wings. 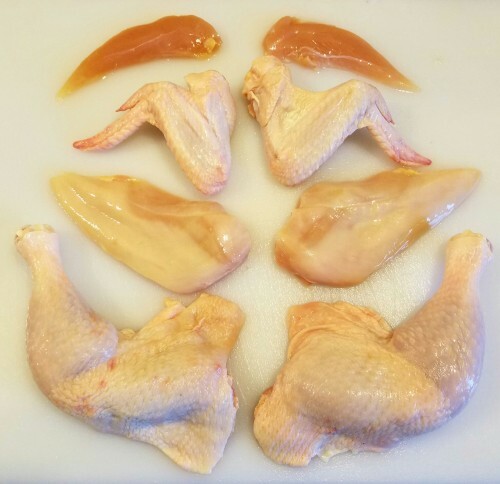 A cut-up whole bird pack will weigh between 2 and 4 lbs.